No matter the age, ability, or discipline of the horse that enters his training barn Doug’s focus is the same: to patiently work with each individual to be a soft, solid, consistent competitor for years to come. 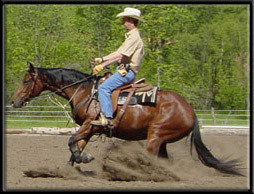 Firmly believing it takes time to train a superior reining horse, his training program is dedicated to long term quality. Doug offers the best possible care for all his horses in training with specialized feeding programs designed around each individual horse’s needs as well as top quality facilities and barn staff. 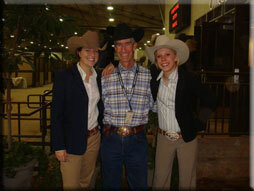 Doug Bogart is an American Riding Instructor’s Association Certified Level III instructor in both reining and stock seat equitation. Along with helping his students create and realize their horsemanship goals both inside and outside the show pen, he emphasizes the importance of safety as well as solid horse and rider combinations. He offers hourly lessons to those at Schmidt Farms and is also available for lessons off-site at select locations on a case by case basis. Please call Doug at (309) 787-4271 for more inormation.